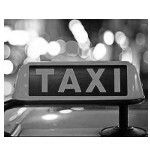 Here at ATM Taxis we are serious about your security online and when using our site and our booking/quoting tool. For this reason we can now say that we are 100% secure. SSL/HTTPS has been enabled site wide to ensure your data is protected. From booking to pickup and drop off you are in safe hands. As always get booking online now for the best rates!